Towne Centre hasn't been around long, but it has become the place to shop for East Cooper residents. And no wonder, with shops to please everyone, including most of your favorite national chains such as The Gap, Barnes & Noble and Bed Bath & Beyond. 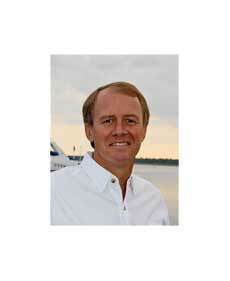 There are also local boutiques such as Shooz, Copper Penny, Palmetto Moon and the Sand Dollar Gift Gallery. It’s easy to spend a full day at Towne Centre – and not just during the holidays. An outdoor mall with tree-lined sidewalks, you’ll find upscale shopping mingled with stores that appeal to the younger set. Families with young children will appreciate Baby Bloomers for gifts and apparel, while teens will head straight for Old Navy or American Eagle. Women will find an impressive array of shops that cater to their style, including Chico’s, White House/Black Market and two recent additions, J. Jill and Coldwater Creek. After a shopping expedition, it’s time to relax in one of the many restaurants, such as LongHorn Steakhouse or Hatchell’s American Tapas Tavern, perhaps followed by a movie at the Palmetto Grande. In addition to individual store promotions, Mount Pleasant Towne Centre offers special holiday events throughout the year. Just a bit newer than Towne Center, Belle Hall Shopping Center has become a main attraction where Long Point Road meets Interstate 526. Anchored by SteinMart at one end and PetSmart and Ross Dress for Less at the other, Belle Hall includes a variety of local and national shops. Eye care, dentistry and financial planning services co-exist with boutiques such as Belladea, The Coastal Cupboard and Sassy’s. You’ll also find jewelry stores, shoe shops, menswear and the all-important grocery store. As with Towne Centre, it’s not all about shopping at Belle Hall. When it is time to eat, Belle Hall offers an eclectic variety of dining experiences, including Dog & Duck pub, Six Tables, Brixx Pizza and Beef O’Brady’s. Personal care is important, too, and you’ll find salons, from budget to upscale, as well as a spa to pamper yourself, Urban Nirvana. Fitness Now is there to help you keep in shape. 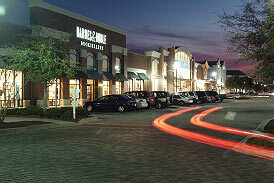 Similar in style to Towne Centre, Belle Hall is an open-air mall with trees and walkways. Before the Isle of Palms Connector was built, Coleman Boulevard was Mount Pleasant’s main thoroughfare and the primary route to the beaches. 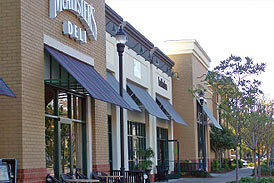 Though there was never a specific shopping district, a variety of shopping centers served the needs of East Cooper residents. One of the largest is the Sea Island Center, where Chuck Dawley Boulevard and Ben Sawyer Boulevard meet. Another major shopping center on Coleman is the Moultrie Plaza, across the street from the soon-to-be-rebuilt Moultrie Middle School, where you’ll find a fitness center, an antiques and crafts mall, a variety of smaller boutiques and a restaurant or two. Just down the road, a new breed of boutique is cropping up: live/work developments. The original shopping district in Mount Pleasant was Pitt Street in the Old Village. Decades ago, you could find a grocery store, a doctor’s office, post office and much more, including the Pitt Street Pharmacy. This beloved drug store, with its fountain drinks and old-fashioned malteds, remains a favorite and is well worth a visit. Other shops in the Old Village include the Village Bakery, Expectations Studio, Out of Hand and the Old Village Post House restaurant. The site of a former working plantation dating back to 1696, the Market at Oakland promises to be one of East Cooper’s most popular retail shopping districts. 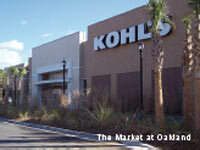 Following the design of Towne Centre and Belle Hall, the Market at Oakland is an outdoor, mall-type center anchored by a Super Wal-Mart and Kohl’s department store. In between will be a tree-lined pedestrian shopping village. In addition to Wal-Mart and Kohl’s, a branch of Wachovia bank is already in operation. New stores include Goin’ Postal, GameStop, Bear N’ Friends Toy Shop, Rita’s Italian Ice, WineStyles and Tresses. The Market at Oakland will cover approximately 75 acres and include about 415,000 square feet of retail space and about 36,000 square feet of office space. The remaining 225 acres of historic Oakland Plantation will be set aside as a conservation easement. No article on shopping East of the Cooper is complete with a mention of Gwynn’s of Mount Pleasant. Founded by the Ward family, the shop had humble beginnings in a former clothing store located in Moultrie Shopping Center. Assisted by daughters Lynn, Karen and Anne, Gwynn’s expanded from a small clothing boutique into the area’s first department store. 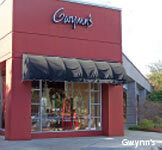 Today, Gwynn’s is located in the Village Pointe Shopping Center and offers a full line of designer wear and accessories for women, men and children, along with elegant housewares. Service has always been a priority at Gwynn’s, and current owner Marshall Simon has taken that commitment to a higher level, often holding trunk shows and other special events. Gwynn’s also offers online personal shopping via Webcam and will even accommodate fashion or gift emergencies.